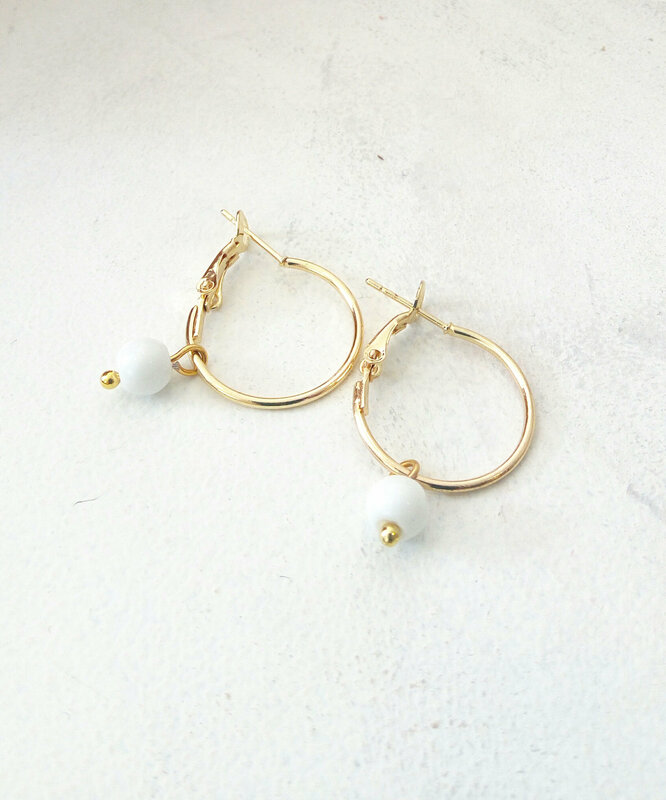 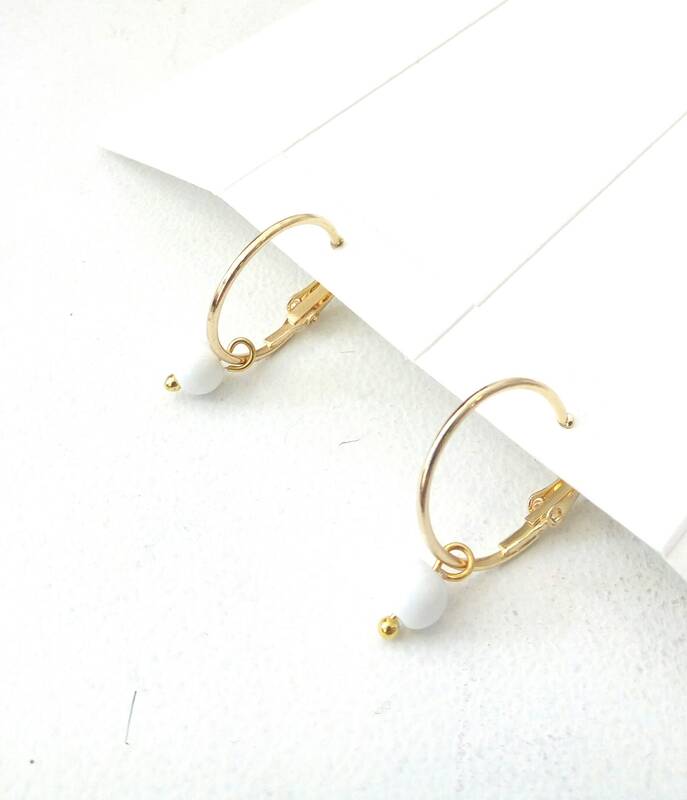 Simple gold plated hoop earrings with glass white beads. 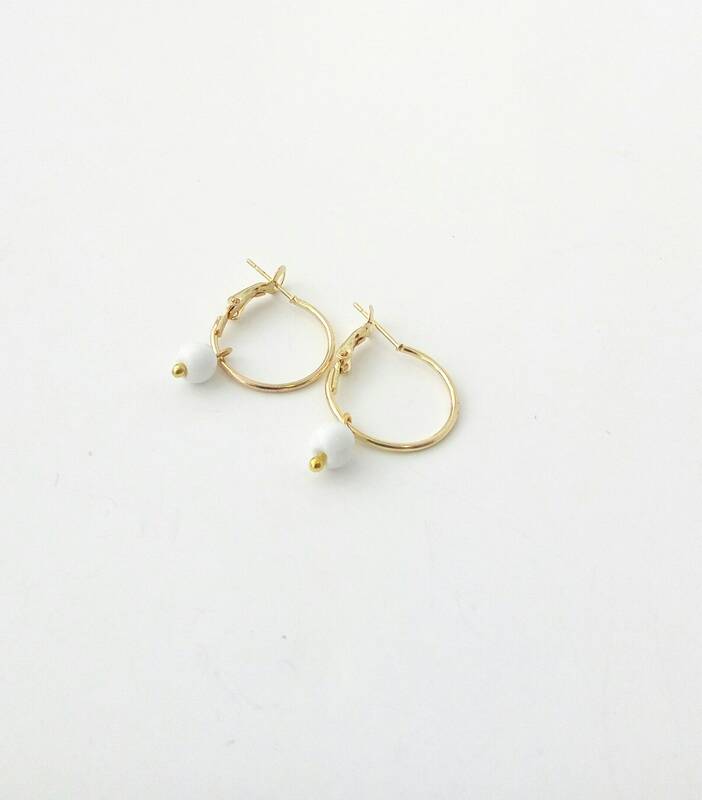 These hoops are lightweight and comfortable for everyday wear. 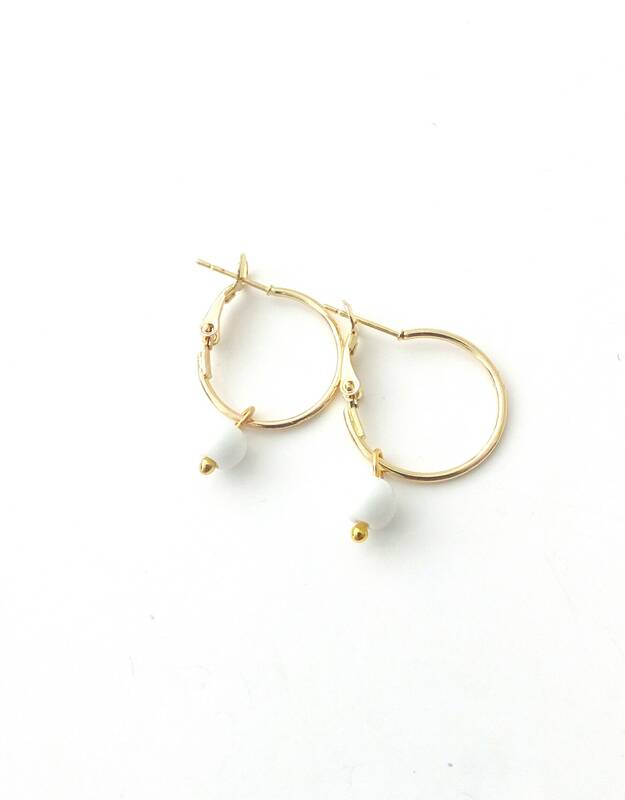 You can wear these hoops with other earrings or alone for a beautiful classy look. 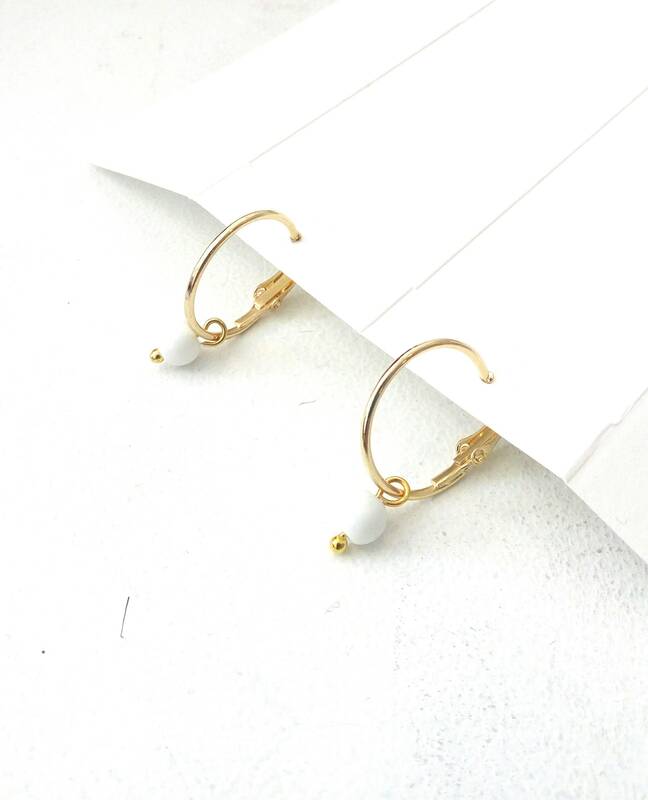 All pieces of jewelry are beautifully packaged, ready to be gifted.